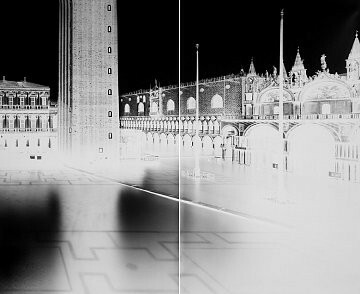 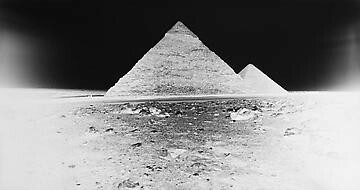 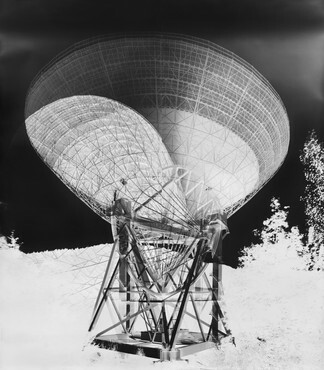 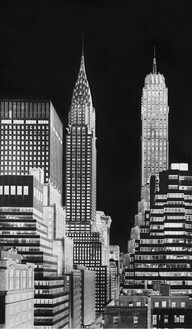 Gagosian New York is pleased to present recent photographs by Vera Lutter. 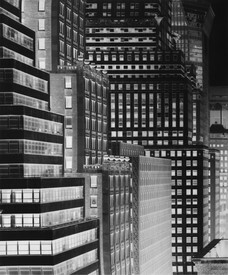 Inspired by New York’s light, architecture, and perpetual state of flux, Lutter turned to photography in the early 1990s as a means to record the continuously changing cityscape. 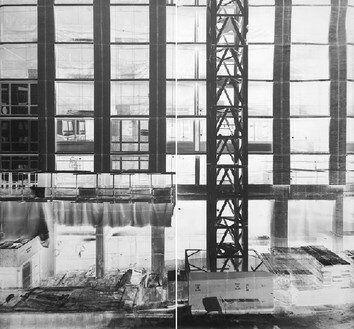 To capture an immediate and direct imprint of her surroundings, she transformed her apartment into a large pinhole camera, employing the space that contained her personal experience as the apparatus that would document it. 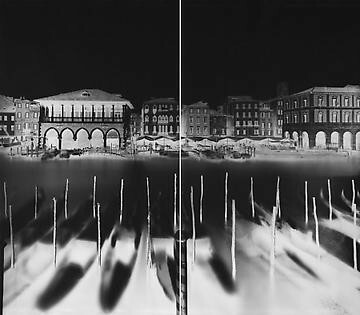 Through a simple pinhole, instead of an optically carved lens, the city outside flooded the interior of the room and projected inverted images onto wall-size sheets of photo-sensitive paper. 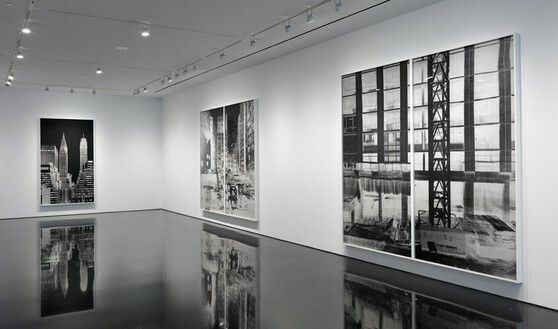 Modifying shipping containers and empty rooms to create site-specific camera obscuras, Lutter has since applied her technique to subjects across the world: the Empire State and Chrysler buildings, the Egyptian pyramids, a coal mining site near Hambach, Germany, the acqua alta of Venice. 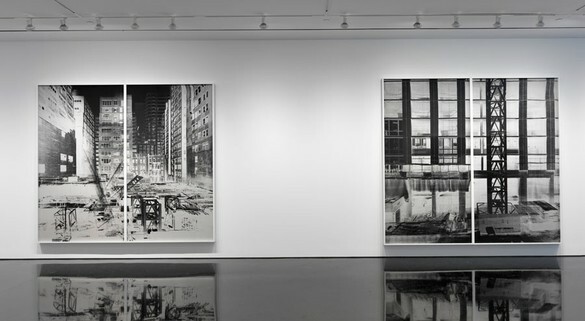 Her exposures can take days, weeks or months to produce an image; she retains the negative form as the final, unique work—a literal reflection of space and time as determined by the immediate visual environment, with the most stable and permanent features (buildings, streets) as spectral foci. 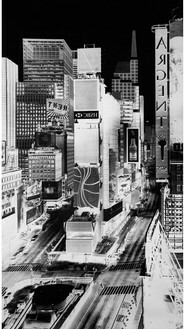 In New York, which remains a central inspiration for her photographic work, these elements are in a state of constant renewal and becoming. 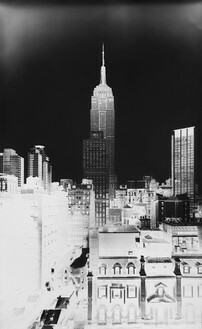 Vera Lutter was born in Germany and lives and works in New York. 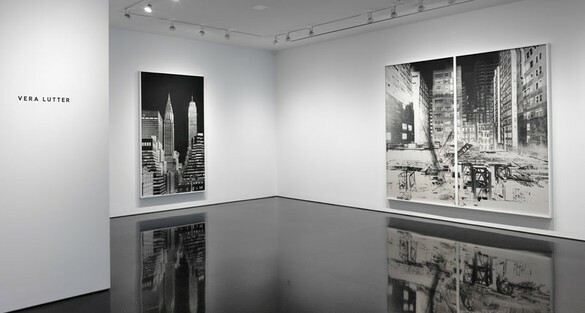 Public collections include Metropolitan Museum of Art, New York; Museum of Modern Art, New York; Whitney Museum of American Art, New York; Neue Galerie, New York; Museum of Fine Arts, Houston; and San Francisco Museum of Modern Art. 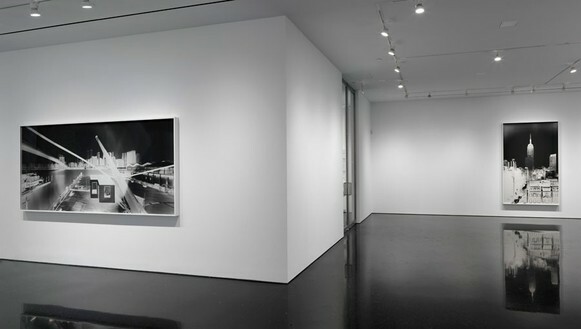 Major solo exhibitions include Dia Center for the Arts, New York (1999); Kunsthalle Basel (2001); Museum of Contemporary Photography, Chicago (2002); Kunsthaus Graz, Austria (2004); Modern Art Museum of Fort Worth (2005); Fondation Beyeler, Basel (2008); and Carré d’art Musée d’Art contemporain, Nimes (2012). 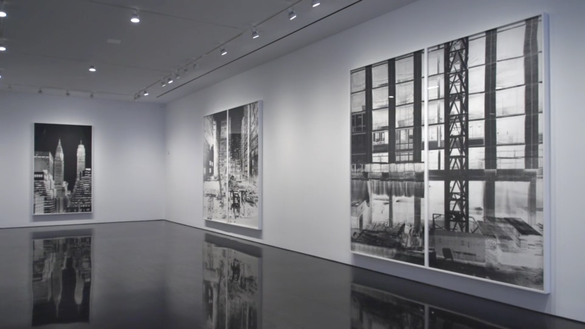 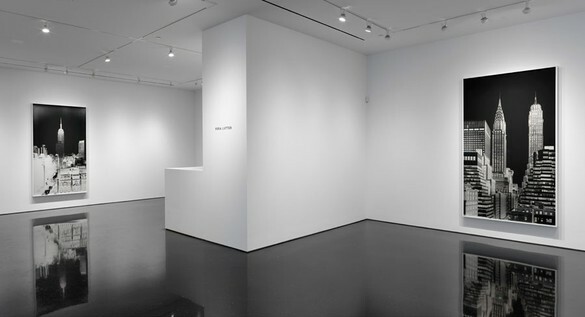 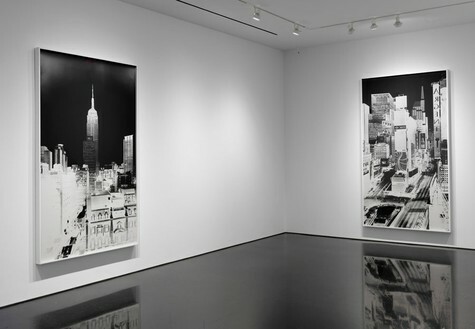 Vera Lutter sat down with Marvin Heiferman, an independent curator and expert in photography, to discuss her latest New York exhibition.